To play the latest and most graphical computer games, you'll also need a powerful computer, but it's probably time soon. Just as you can stream movies and TV shows online, the goal of Google's Project Stream is that you can stream video games in the same way. This means that in theory you only need a well-functioning Google Chrome browser to play the latest and most demanding games. Streaming technology has completely changed how we watch movies, TV shows and listening to music. Streaming is gaining popularity, and it also means that technology is also being developed. It is not many years ago that you began to stream one's gameplay on the website like Twitch.tv. But even when the first of these websites appeared, it was demanding for one's internet connection as well as one's computer. But with the technological development of streaming, it's becoming easier for anyone with a moderate system to stream their gameplay to the whole world. The ever-increasing success of streaming entertainment has made Google, as the first, taken the first steps to direct streaming video games. This has they done by launching Project Stream, which does this. 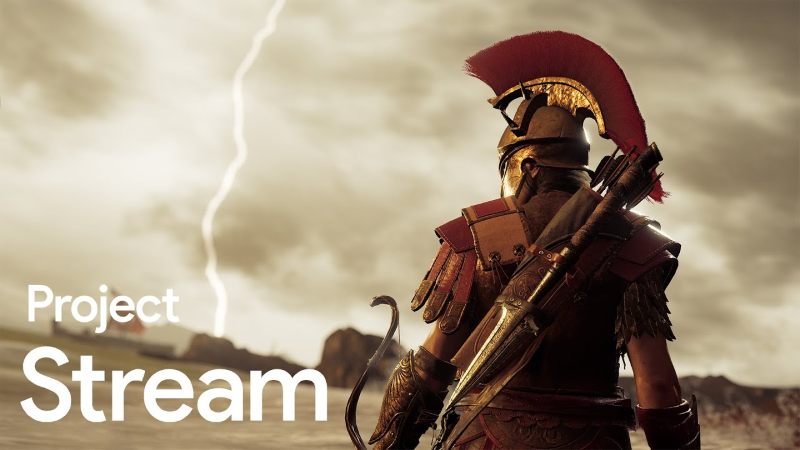 Google has partnered with game developer Ubisoft, and if you have an American IP address, you can already visit Project Stream and stream the new Assasin's Creed Odyssey through Google Chrome. However, the project is still only for testing, which is why only US-based IP addresses are currently available. However, one can benefit from a VPN service and change their Danish IP address to an American and try the project. It's just a matter of time before you see others developing similar projects that can compete with Google Project Stream. The idea that you can sit on a cheap tablet that has Google Chrome installed and play the latest and most demanding games is an incredible thought, but undoubtedly also very exciting. At this time, it is not known what it will cost to stream computer games, but we estimate that Project Stream will act as a sort of Netflix for video games.